Indie Retro News: Guy In A Vest - C64 work in progress with a Q&A is not to be missed! Guy In A Vest - C64 work in progress with a Q&A is not to be missed! Q. Is this a solo project? A. "No, I'm hopeless with music and graphics. I'm working with Saul Cross (Graphics and Sound Effects) who needs no introduction, and Aldo Chiummo & Gaetano Chiummo (music), who worked with me on Planet Golf already. I cannot commit on the quality of the game, but at least with these guys on board I'm sure that Guy in a vest will look and sound great." Q. 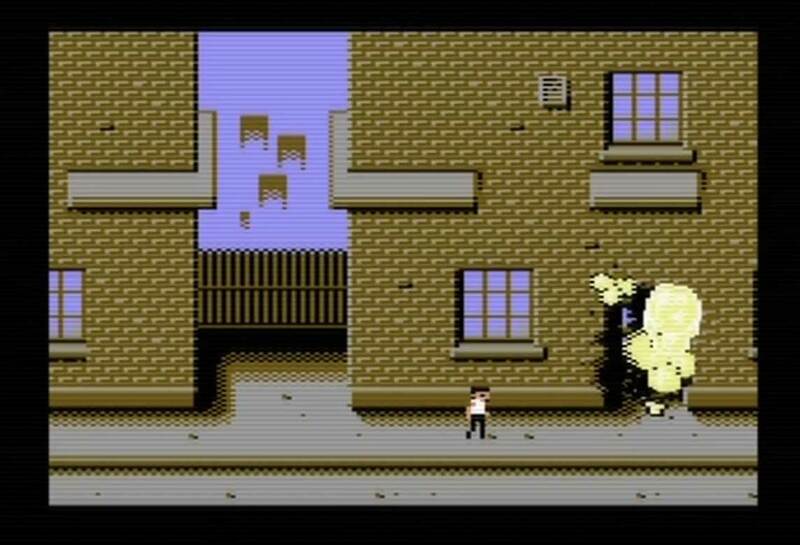 So far, Guy in a vest reminds me of those classic coin-op platformers: Shinobi and Rolling Thunder... Did you draw any inspiration from any classic games? if so which ones? A. 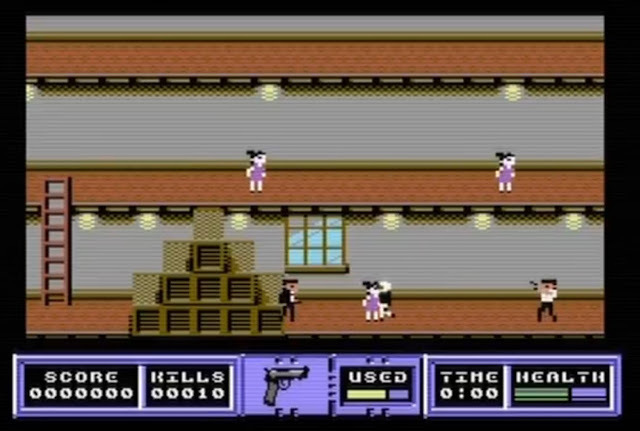 More than games, my main inspiration for Guy in a vest are the action movies of the 80s. The gameplay should be as hectic as it gets, and the plot is irrational and completely over the top. 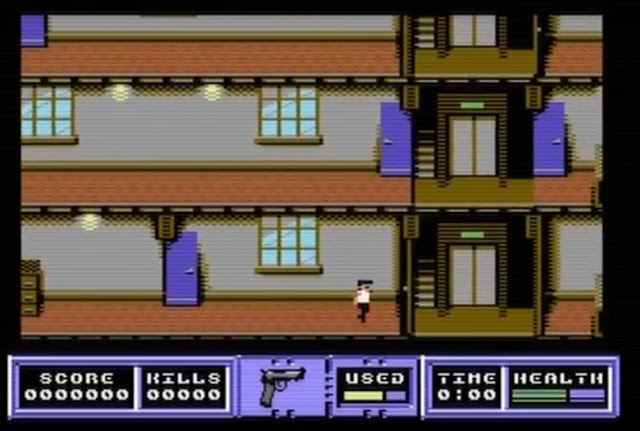 Guy himself is a knockoff of Schwarzenegger, much like Duke Nukem was. 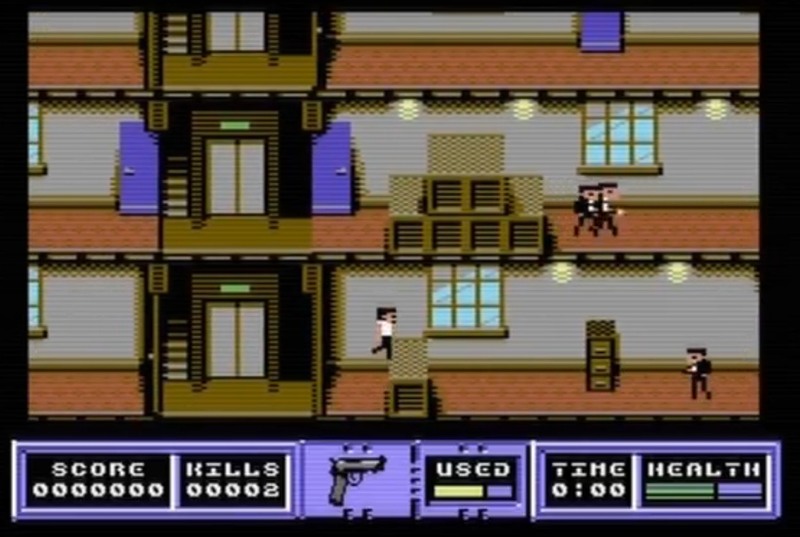 If we want to look for similarities with games then maybe Green Beret is a good one, although the action in Guy in a vest should be a bit less linear. But other than that, yes, I have a 5 digit kill counter and I'm not afraid of using it. Q. How long is the game engine taking to build compared with Planet Golf for example? A. The engine was a pain. Charbullets with multicolour scrolling are a recipe for headache. When you implement these things yourself, you start to appreciate even more the work of people like John Twiddy, who did this kind of stuff 30 years ago! Also, add speech (which steals a lot of CPU) to the picture and you are in for a lot of sufferance. So yes, for me it was much more difficult than Planet Golf. Physics in PG was not a walk in the park either, but at least there is not much happening on screen there. I could not estimate how much it took me, but it was not a weekend affair to have everything run together. Q. Do you think it will be ready for production this year? A. I'm hoping to complete Guy in a vest within 2018, but to be honest this game is very heavy on the graphics designer, and getting all those sprites and backdrops ready surely takes its time. On the other hand, Saul is a superstar and does things at the speed of light. We'll see.